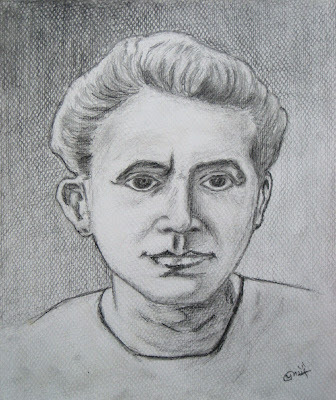 In this post, I am going to share with you the portrait sketches of some famous persons. This sketch is a portrait of Madam Curie who is famous for her contribution to the scientific world. She was among the group who invented the radio-active element radium. I got the reference from a newspaper but it lacked details and hence I had to add some details myself. Even though I added details of my imagination I feel that this portrait has become quite real. I would be very happy to know whether you feel the same in the comments below. This sketch is of the late Prime Minister of Nepal, Girija Prasad Koirala. His contribution to bring the rebellious party UCPN Maoist into the mainstream politics and to conduct the election of constituent assembly are unforgettable in the Nepalese history. The idea of making the sketch of Mr. Koirala hit my mind when I saw a big photo of him in a national magazine just a few days after he passed away. Baba Ramdev is a very famous - that's not enough, he is very very famous - yoga and health guru. I mean it and I duly respect him for his extraordinary contribution for the well-being of not only Indians but also the people all over the world. His directions for a healthy life are worth following for everyone - 7 micro-yogas (sukshma-yog), 7 Pranayams, and 7 yoga postures a day keep the doctor away. I think the doctors envy his success and perhaps even hate him for keeping the people away from them! However, as a matter of fact, I have started loving doctors after I learnt yogas and pranayams from Baba Ramdeva (and Dr. Yogi Bikashananda as well). The reason behind this is pretty obvious but in case you didn't get any clue about it then here's it: I have now become a doctor, my own doctor, and needless to say, who doesn't love oneself? 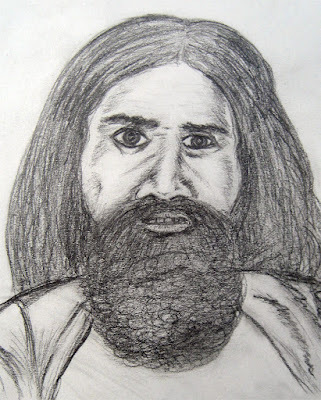 To be back, I made this sketch during the time when Baba Ramdev launched a "Hunger Strike" to end bribery and corruption in India. It was just a coincidence that I made his sketch during that time. Feel free to comment as well as share this post with your friends in all the social networking sites you use.